If beauty is only skin deep, then the ideal skincare product has to do more than just make us look beautiful, doesn’t it? That’s the idea behind Britta Aragon’s new CV Skinlabs products. She wanted to formulate them so carefully that they could soothe the most sensitive skin, even that of a cancer patient recovering from the harshness of chemotherapy. It was a calming reprieve this week to try a small sample of two CV Skinlabs products. Calming Moisture is a medium-weight lotion that glides on easily, is not greasy and seemed very mild on both my face and hands. A lot of lotions can burn my face, while this did not. The Restorative Skin Balm is a thicker salve that felt especially healing on my feet. 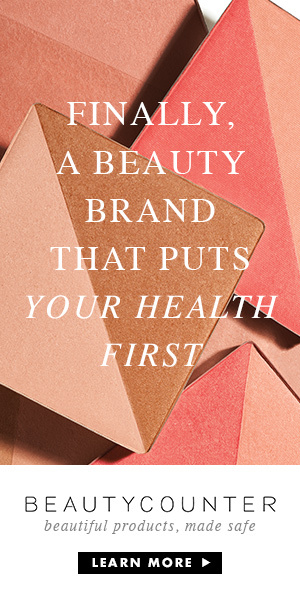 Neither product has much of a scent, as they are designed with minimal, all-natural ingredients and promise not to include a list of questionable ingredients like synthetic fragrances commonly found in other skin products. We had a mixed reaction to using the Calming Moisture on my young daughter’s face. It was not able to stop the onset of what I think was a dietary-induced eczema that was coming on the same afternoon that we tried the lotion. At first, the one cheek where we used the lotion actually looked a little pinker than the other, but then it calmed back down. My daughter’s skin is also oilier than mine, so my clear takeaway was that the lotion worked better on my dry skin than it did on hers. Because CV Skinlabs is designed to be as pure as possible for people undergoing cancer treatments, we decided to share the larger samples with a family friend dealing with chemotherapy. I first heard from Britta Aragon last fall during a Body & Soul Talk with Women’s Voices for the Earth. I related to her story as she told of struggling with her father’s skin care during his painful cancer treatments, and how she was inspired to create something better for cancer patients and others with sensitive skin. Aragon’s story about creating the Cinco Vidas community and her process of creating CV Skinlabs products is inspiring.